Here are the instructions for handling the your box if you ordered an oversized mirror. Your mirror has been inspected and insured, so if there is any damage, please let us know immediately. While opening the box, please snap a photo or two of the box, the piece itself, and any other details in case we need to make a claim on the piece. The box will be unloaded off the truck with the help of your loading dock/forklift or the truck driver's lift gate. Once the crate has been unloaded, you will have to open the box. Make sure you have coordinated with your installer so that as soon as you remove the piece, you can begin hanging. Once the box is open, you will need to remove the piece from the surrounding foam. Make sure while opening the front of box to tilt the box itself back. The mirror may have come loose during transit and could tumble out otherwise. 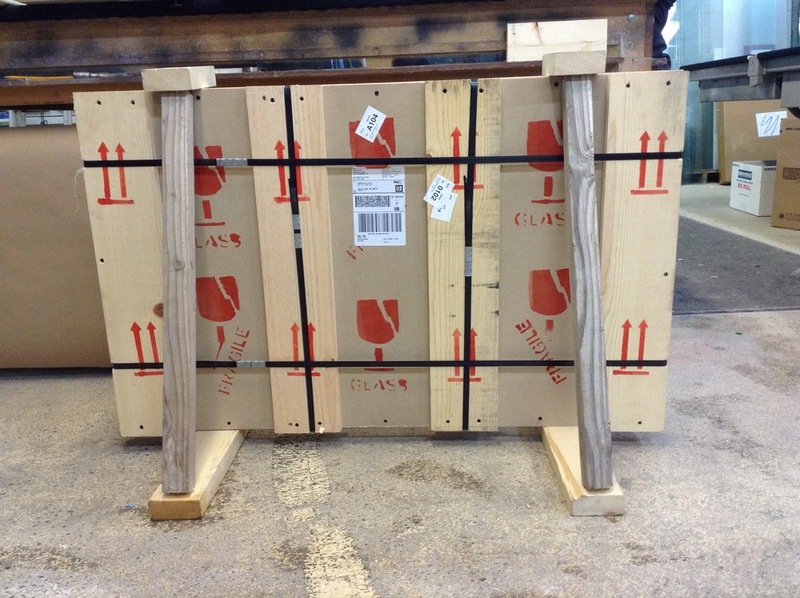 Typically, the mirror is snuggly pressed against interior of the crate's foam padding, so removing it from the crate may take two people. After you have removed the mirror from the box, make sure that you place somewhere with a soft surface at any point of contact with the mirror. For example, if you lean the mirror against a wall, make sure there is a buffer between the wall and edge of mirror. Once the mirror is out of the box and ready for installation, here are the instructions for hanging the mirror.